Plugged Cable for easy changing of mains cable. Free onsite demos available - Call us on 01952 951736 to book. 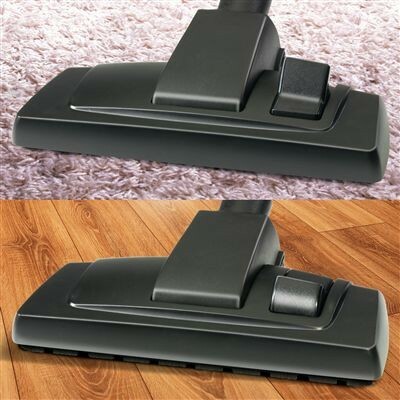 View the entire Vacuum Cleaner Range here. 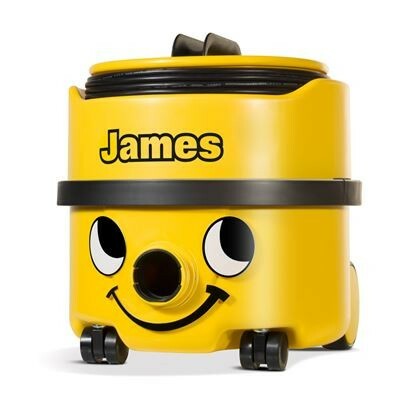 James differs from other machines in the Henry range in that he does not have a cable retraction system, instead he has a manual storage caddy on the top of the machine. For some users this may be a deal breaker, however a lot of users do find this gives them space to store tools on top of the machine. 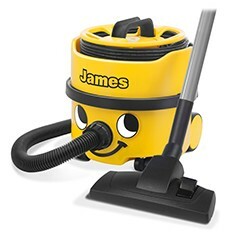 James comes complete with a wide variety of accessories that are all well suited to cleaning around the home. These accessories include a floor tool for use on hard floors and carpets, upholstery nozzle, brush tool and crevice tool.This comprehensive set will allow you to tackle a wide range of cleaning tasks from cleaning skirting and the sofa, to cleaning the floors in the kitchen and living room. 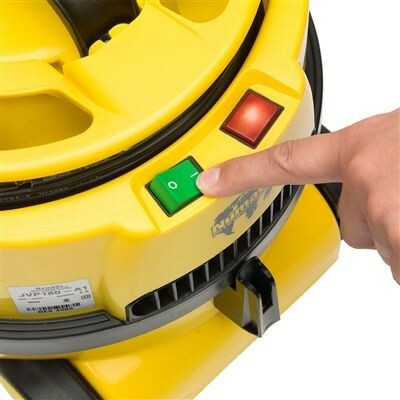 Being the smallest vacuum in the range he is easy to store under the stairs or in other tight spaces. Do not let his small size fool you though, he packs a punch and still has the same massive filters that Henry, Hetty and Charles use to get their great performance. • A Class - Energy efficient A rated. • Wand Docking - Convenient on-board wand docking system. • HepaFlo Filtration - High performance, efficiency, capacity and greater cleanliness. 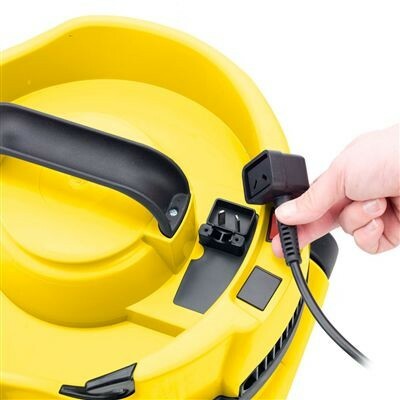 • Plugged Mains Cable - Quick, easy changing of the cable. • Cable Storage - Convenient on-board cable storage system. • Professional Accessories - A comprehensive accessory kit (AH0) and aluminium tube set.